I am a great opener of business opportunities; I am a pretty poor closer. I have a real issue around asking for something. I guess a psychologist could identify my block. I find it much easier to give than to receive. However, today, and for the next few weeks, I have to overcome this fear and ask for support, I can only do this because I know this is a win-win. 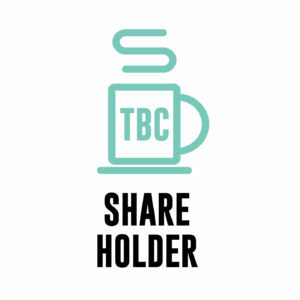 So here it is… I would really like you to become a shareholder of The Business Cafe. Gail and I have a dream to build a new community across the UK that embraces self-employed and small business in a way that has never been done. Bridging the online and the offline, bringing all the networks together, BNI, Athena, Chamber of Commerce, FSB, WIBN and so on, helping everyone to grow in self esteem, connections and skills and all under a social – ‘friendship first’ – culture that makes us a ll feel we belong and are cared for. The Business Cafe is ready to launch and we want it to be owned by the very people that will buy the coffees, help one another and truly care about this critical sector of the economy. Yesterday I asked you to become a Member, today, I am asking you to become a Shareholder… but not yet, we are purely gathering information. Please go to this Pledge page and give us an idea of whether you would invest £10 or more. With this information we will have a clear idea of the opportunity that lies within our friends and supporters to enable us to bring The Business Cafe to market and launch a Crowdfund through one of the Crowdfunding platforms. We are not taking any money now, there is no formal commitment here, but it gives us a real feel for how much equity to set aside for our ‘crowd’ and we want honest feedback through this Pledge process. If you like what we stand for and can contribute to the launch, become a shareholder and know that you were one of the visionaries that brought this to market, please click this link; this will give us a feel for the amount we can raise and enable us to email you again when we are ready to launch the Crowdfund. As a pre-registered member, you will receive priority access to our Crowdfunding site before we launch it to the wider public.